This listing is for one NOS Russian Military K40Y-9 0.022 uF 630V Paper in Oil Capacitor. These K40Y-9 caps are high quality audiophile grade made for the Soviet military in the 1980s cold-war era. The conductor is aluminum foil and the dielectric is oil saturated paper. The metal body is hermetically sealed with glass beads. 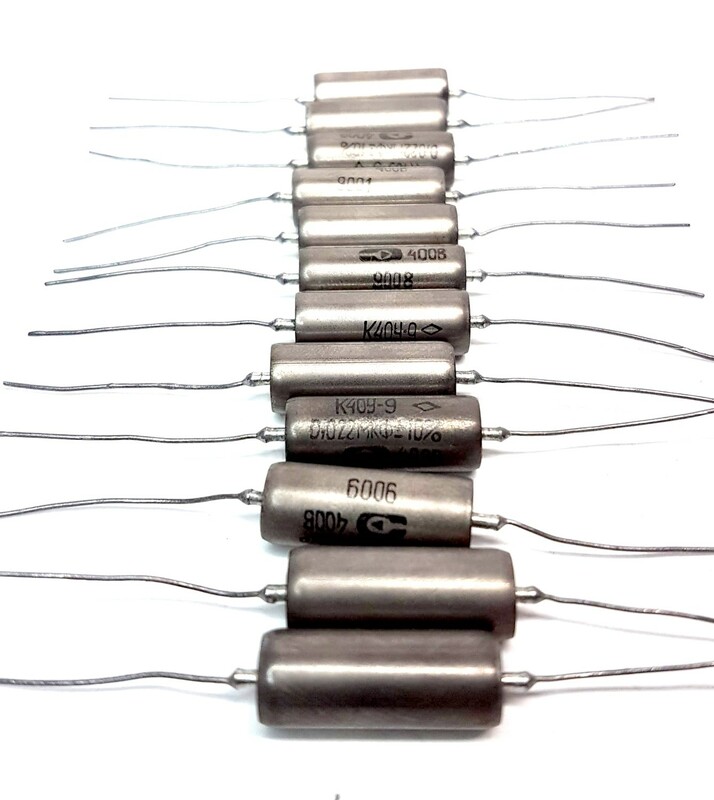 These capacitors are constructed like vintage Sprague Vitamin Q and sound virtually identical. .022 uF paper in oil caps were widely used in vintage electric guitars like Gibson and Fender and also guitar amps. Recreate the tone and feel of those classic tones with these caps.